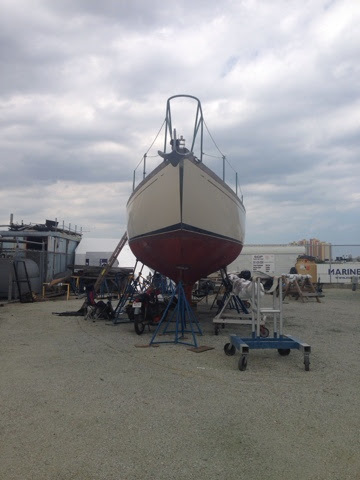 It's been less than a year since the boat was out of the water but she is on the hard once again. I've gotta say, I'm more than disappointed with how our bottom paint has performed. 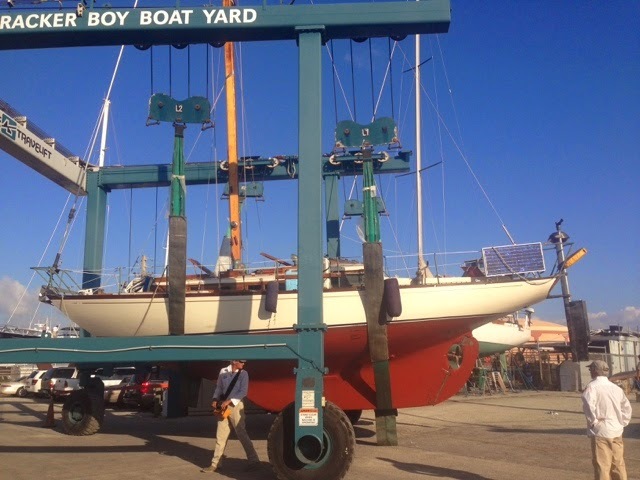 When it came time for bottom paint last time we didn't know exactly what would be the best plan. 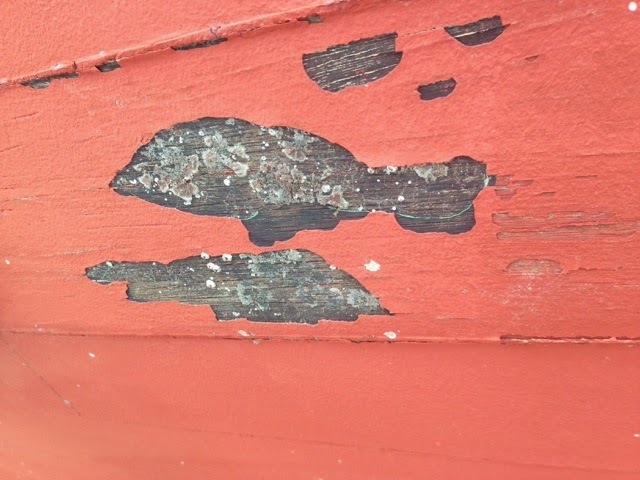 I talked to paint reps about how to apply bottom paint to a bare wood boat. There were a lot of mixed opinions about what to prime with. I wanted to use red lead but the government frowns on lead based paint usage so we were kinda stuck. I searched on the internet and no one seemed to have the same thoughts. 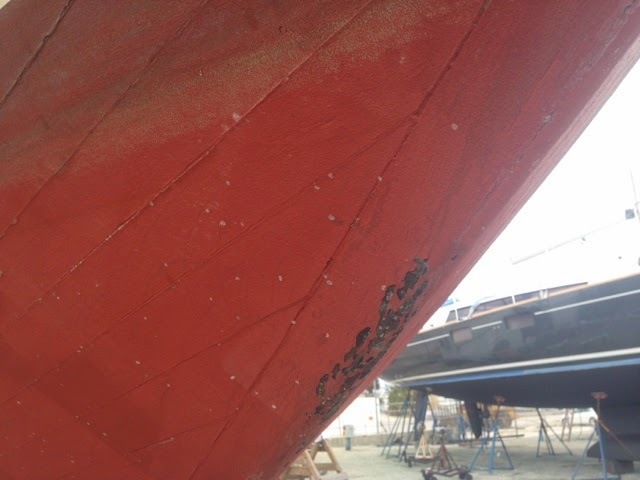 We didn't want to use any epoxy based primers since the wood has been wet for 50 years and putting epoxy on the outside can lead to rotten planking. Our Pettit rep advised me to apply bottom paint directly on to the bare wood with a thinned hard paint for the first coat. We chose to use Pettit Trinidad Pro in black first then red on top. It ended up taking 3 or 4 coats in total and looked pretty good. Flash forward 9 months and the bottom paint looks years old. It is flaking in places and barnicles were growing all over. It was not what I expected less than a year after applying a new bottom. There are obvious adhesion issues and just isn't working like it is advertised. Not sure that Pettit is to blame completely, I just don't think there is a better base coat option besides using proper lead based paint. Neither Pettit or Interlux have a fool proof painting application guide for painting directly onto bare wood. Next time I think we will just have to go to Mexico and use the toxic stuff! Haha. For now we will just patch her up and hope for the best.